Bowing to the request of fans, Japanese lifestyle retailer Convict are proud to offer up their exclusive version of Siccaluna’s B-Movie Monster set! 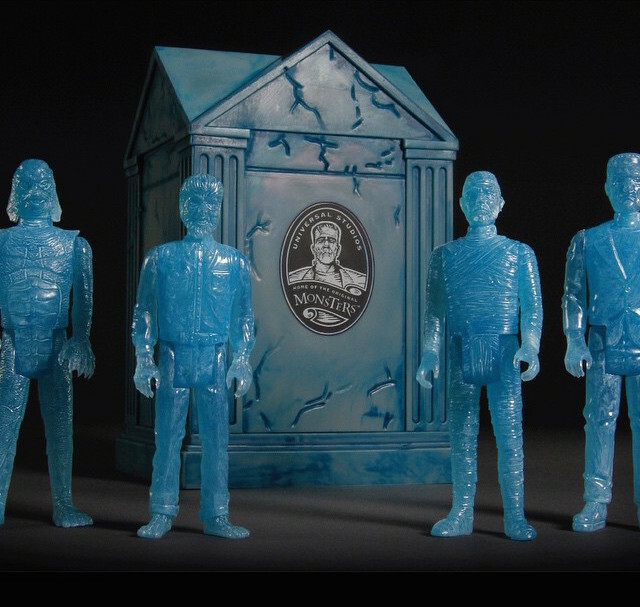 Featuring “Frank”, “Kong”, “Spaceman” and “Mummy”, the KO Universal Monsters stand at around 8″-9″ tall each, coming with articulation in both the arms and neck. Produced in what appears to be a lavender soft vinyl this time around, each has been treated to layers of sprays and hand brushed detailing in a range of blues and browns. Currently up for grabs via lottery for $260 a set, interested parties can enter by e-mailing Convict at info@convict.jp with their name, Instagram name, country, shipping address, phone number, PayPal address and the name of the product (SHIKARUNAKOUBO MONSTER SET CONVICT LIMITED COLOR) before close on Thursday, December 17th… Good luck to all who enter!